I believe it is wrong to think that everything would be fine if government agencies just emphasized the needs of their customers as opposed to the needs of the bureaucracy. The book, Reinventing Government, takes the opposite view. Chapter 6 is titled, “Customer-Driven Government: Meeting the Needs of the Customer, not the Bureaucracy.” The chapter goes on to advocate improving customer service and greatly increasing customer participation in government. The main reason customer driven government is not realistic is that government agencies have many demands on them that are not related to customer service or participation. 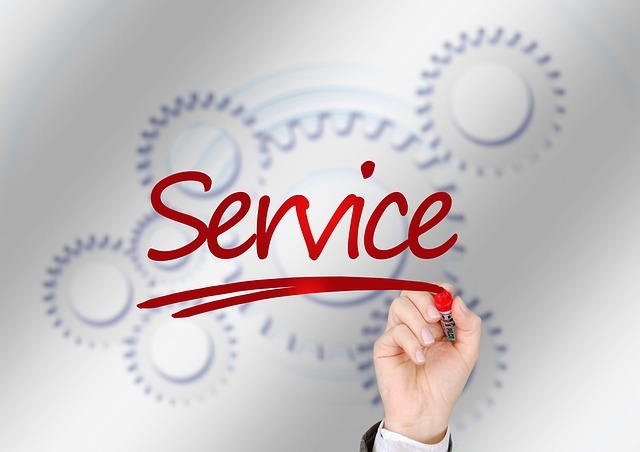 Only a very limited amount of an agency’s scarce resources can be devoted to customer service. Private organizations, however, are in an entirely different situation. They control their product line in a way that government agencies do not. They can choose to cut back costly and difficult products and services and do more customer service if they feel it would help the bottom line. I explored this issue in an earlier column. Consider that the IRS now has over 2,000 forms and pamphlets on its website. For example, Publication 15-B, Employers Tax Guide to Fringe Benefits, gives 31 pages of instruction to the public on just this one issue. Think of the efforts at the IRS just to implement the rules pertaining to fringe benefits. In addition to Publication 15-B, implementation no doubt includes regulations, circulars, memoranda, internal manuals, training guides, forms and computer programming. The IRS could just ignore a difficult issue like fringe benefits and devote the resources saved to improving customer service. A business might make such as decision about one of its services. But the IRS isn’t going to do that because they must implement all laws assigned to them. In my recent column on program implementation, I outlined some issues an agency needs to consider to implement legislation. Most of this work is not related to customer service. And, once the initial implementation work for a program is done, an agency can’t just rest and devote all of its energy to customer service. Ongoing program implementation puts many demands on an agency’s resources. These are legitimate demands and may not be dismissed as “meeting the needs of the bureaucracy” as Reinventing claims. The Policy team needs to address continuing questions about the meaning of the underlying legislation and how it is implemented. Regulations may need to be written or updated. OMB approval must be obtained to collect or continue to collect information from the public. Somebody has to deal with the never-ending FOIA and non-FOIA information requests. Somebody has to maintain necessary relationships with other agencies. The Strategy team needs to analyze legislative proposals, prepare agency executives for hearings, answer inquiries from Congress and conduct special studies. The Training team needs to maintain an ongoing training program for employees and stakeholders. The Business Processing team needs to work with the agency’s information technology staff to maintain and enhance the computer systems that support the program. Most computer systems support internal processing. Some computer systems do directly support customer service such as online forms, online self-service transactions, call center management, etc. The Operations team needs to focus on headquarters/field issues such as allocation of overtime funds. The Administrative team needs to deal with supplies, travel, time and leave, payroll, budget, personnel actions, space management and COOP (continuity of service) should disaster strike. The Contract team needs to focus on managing all aspects of any contract work the program requires. The Outreach team, unlike the others, is focused primarily on customer service. They may conduct seminars, fairs or focus groups with customers and stakeholders. They may develop Web content for customers and review customer feedback from emails and social media. The Quality team needs to focus on measuring program quality. Quality is major value that directly competes for resources that could go to customer service and participation. In the federal government, there is a huge emphasis on preventing improper payments (both overpayments and underpayments). Systems and procedures designed to protect the taxpayers from overpayments often take resources that could otherwise be devoted to customer service. They may even impact customer service in a negative way (e.g., more questions on forms, review of more information sources, more decisional reviews and delays). Let me acknowledge that the customer service of government agencies has improved since the days of Reinventing Government. I have had recent experience with the Virginia DMV, the Office of Personnel Management, the Social Security Administration, the Centers for Medicare and Medicaid Services, and the Thrift Savings Plan. Each of these agencies offers informative websites, online accounts, online self-service transactions and call centers devoted to customer questions. Although customer service in government is gradually improving, I don’t believe “customer driven” government, as described in Reinventing Government, is feasible. Fully implementing legislation and quality are higher values for government agencies than customer service. Perhaps smaller, well-off communities could have customer driven government if they were willing to budget for it. Reinventing Government was written primarily from a local government perspective. Many services provided by local governments–water, library, recreation, EMS–are private goods and a customer service focus is certainly appropriate. Mr. Pearson makes a good point that federal agencies have to balance many objectives. The same is true of local government services such as regulation of development or operation of a municipal court. Ken Miller in “We Don’t Make Widgets” argues that we need to separate the roles of owners (citizens of the government) and other stakeholders from that of the customer. At the building department counter, the customer is the contractor applying for a building permit. Process improvements that are focused on the customer can also result in benefits to owners and stakeholders. For example, making it easier to pay a traffic fine can result in a higher collection rate. Improving the customer experience doesn’t necessarily detract–or take resources–from the other obligations that fall on an agency.